Does anyone know when the rules changed? Stay pretty, they told us. full lips like blood, eyes like flames. Be HER, they tell us. the hardness of the Amazons. Apparently, there was nothing to do while camping. No computer games, no WiiU, no skate park or Pokémon Go-ing. Nothing to do but swing in a hammock and stare at trees. “Can’t we take a trip to a city and stay in a hotel instead?” he asked. 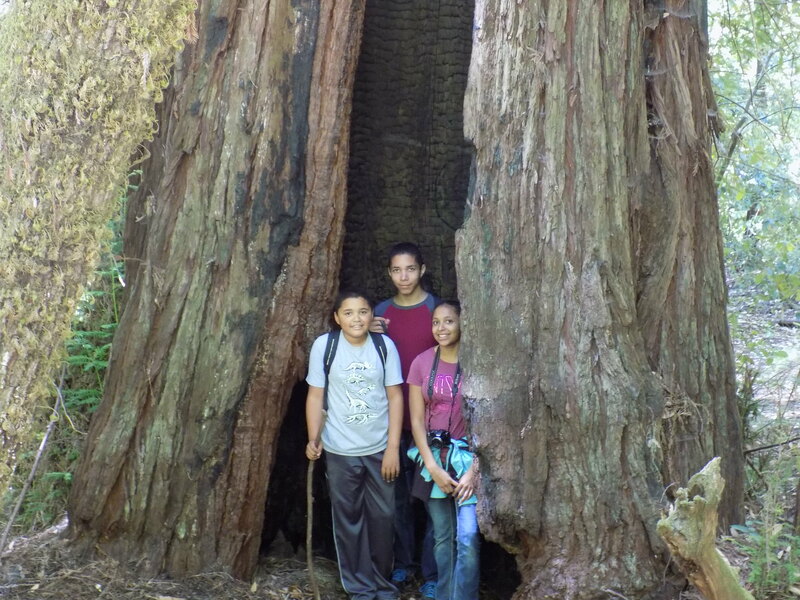 Our family has camped pretty much all throughout Northern California — Mt. Shasta, Mt. Lassen, and all throughout the Sierra Nevada. We’ve seen gorgeous waterfalls, amazing rock structures, and endless night skies smeared with clusters of brilliant stars. 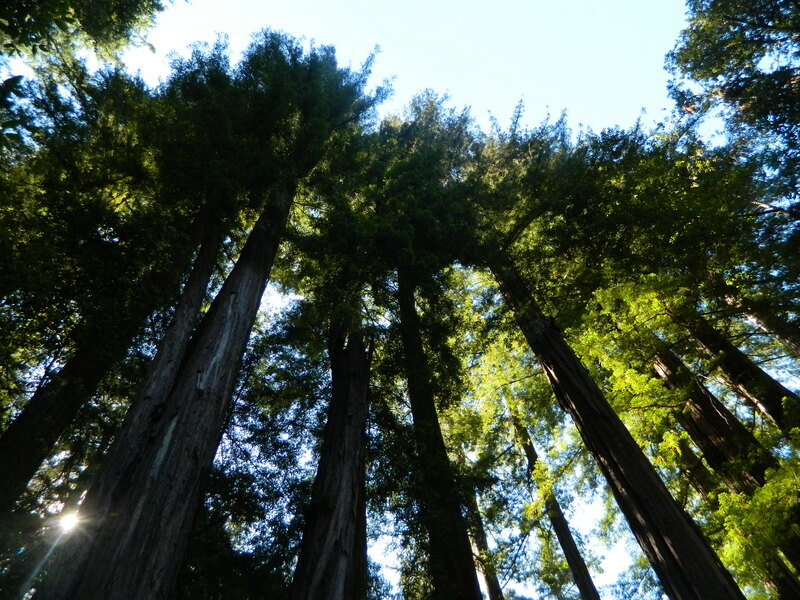 This time, we chose to camp at Big Basin, a huge state park nestled in the Santa Cruz Mountains. We’d been there once before, but decided to return, drawn by the impressive beauty of the giant sequoia trees, not to mention the lack of bears. I love everything about camping except for bears. Especially at night. We pitched our tents, then did the usual camping stuff. We sat around in camping chairs, reading books and laughing over Mad Libs stories. We marveled over chipmunks and the horrid caws of Stellar’s Blue Jays. 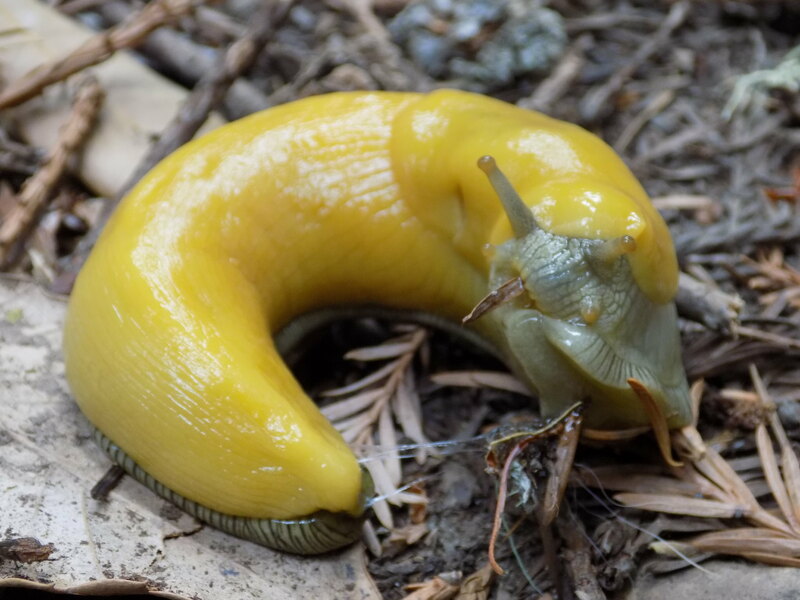 We spotted a slimy, adorable banana slug and dared each other to touch it. We grilled pizzas and toasted marshmallows and sang silly camp songs. So boring, I know. The next day, we drove down the mountain toward the ocean. Then my three kids rode roller coasters and built sandcastles at the shore while I lay on the beach, devouring a good book under our huge sport umbrella. (The 16yo barely glanced at his phone, although he had service once again). Later that evening, we returned to camp to enjoy one last evening around the campfire, where I entertained the kids by telling a super-scary story about a scarecrow who came to life. At last, our camping trip drew to a close. We stuffed away the sleeping bags and tents and loaded up the family minivan. We cleaned up every last trace of our visit, so that the next campers could enjoy a clean campsite as we had. Then we drove away, waving goodbye to the sequoia trees and chipmunks and banana slugs — the only witnesses to our days of music and laughter, our nights of board games and reading books side-by-side under the glow of a propane lantern. No cell phones. No television. No computer screens to keep our family from truly connecting, if only for a few summer days. Camping is so boring. Thank goodness. One idyllic summer morning, you’re rowing your paddleboard across the middle of a large, sparkling blue lake. It occurs to you that you and your children have around 30 minutes left to return to shore and turn in your rental equipment. You row toward two of your children and give them the signal, and they begin rowing back. That’s when you notice that your youngest child has drifted away to the farthest shore. You call him back, but he is unable to turn his paddleboard around. He is stuck. You paddle hard in his direction and show him how to steer his board. “I can’t do it!” he wails, drifting further away. My answer: All of the above. Because sometimes you have to improvise until you find the best way to solve the problem. Sadly, all of these ideas failed, so in the end, I deserted his paddle board at a nearby marina and rowed my distraught little sailor back to safety twenty minutes after our time was up. But still, I tried. Improvisation. That is one of the great things about going camping with kids. In our complacent suburban lives, we don’t often come across so many opportunities to put our improvisational skills to the test. Sure, we have small moments when we have to make decisions on the fly (Pizza or hamburgers? Comedy or action film? ), or minor breakdowns that cause us inconvenience, like when a tire goes flat (Stop and replace it or call roadside assistance?). My 3 actual kiddos in front of said idyllic lake. Yes, this location was pretty-much perfect. Except for the thunderstorms. But while camping many miles from home and supermarkets and people that we know, we have to learn to rely on ourselves. When things go wrong, especially when you are the only adult, you have to be quick on your feet. In the wilderness, the ability to reach into your mental (or physical) toolbox and problem solve can be a matter of life or death. Okay, not really life or death. Unless there are bears and you’re out of bear spray. Because yeah, you could totally give up and go home. But quitting and going home is for losers. Problem: One of the fiberglass tent poles for our screen house splintered, rendering it unusable. Solution: Duct tape. Lots of duct tape. Duct tape can fix pretty much anything while camping. And if it doesn’t, then use more duct tape. Problem: We accidentally forgot to pack two meals’ worth of food. Solution: Our camp store just happened to sell eggs. Do you realize how many great meals you can make with eggs? Egg sandwiches, breakfast burritos, French toast… If that hadn’t worked, well, there were a lot of ground squirrels around. Just kidding. Kind of. Problem: Our tent zipper broke. As in, it came off completely. Solution: You thought I was going to say duct tape, didn’t you? That was plan B. We ended up using clothespins to clip the door closed. It did the job. Of course, we had no way to solve the problem of our noisy campsite neighbors with their obnoxious kids and loud mariachi music. (Geez, did it have to be mariachi music? Talk about torture!). I probably could have improvised – you know, talk to them and ask them to tone it down. Or offer them egg sandwiches. Or capture a few ground squirrels and set them free in their camp. But for all I know, that family could have improvised, too, by chasing me away with a can of bear spray, or worse, cranking up their mariachi music even louder. That’s when we would have called it quits and headed home.